Jammu, Nov 17: Security forces on Friday busted a militant hideout in Jammu and Kashmir's Kishtwar district and seized arms and ammunition. Defence Ministry spokesman Colonel N.N. Joshi said the Army and police launched a search operation in the forested areas of Naidgam and Chhatru and recovered arms and ammunition from a hideout concealed inside a natural cave. Two Chinese pistols, a .303 rifle and grenade launcher were recovered from the spot. 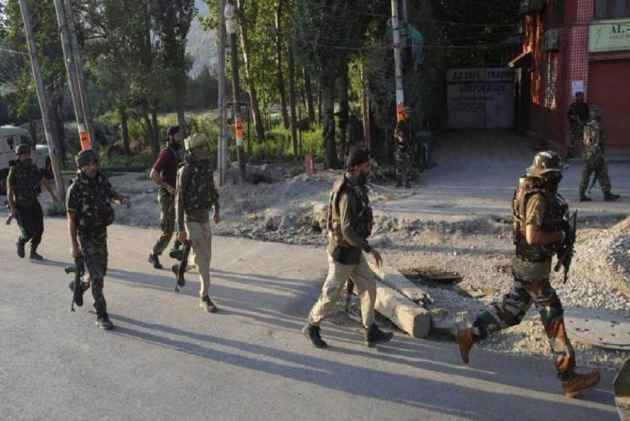 "The security forces are continuing with their persistent operations to keep Kishtwar district safe and sanitized from terrorists as well as their support infrastructure," said the spokesman. "The recovery of war like stores will deal a severe blow to the nefarious designs of terrorists to revive militancy in the area."